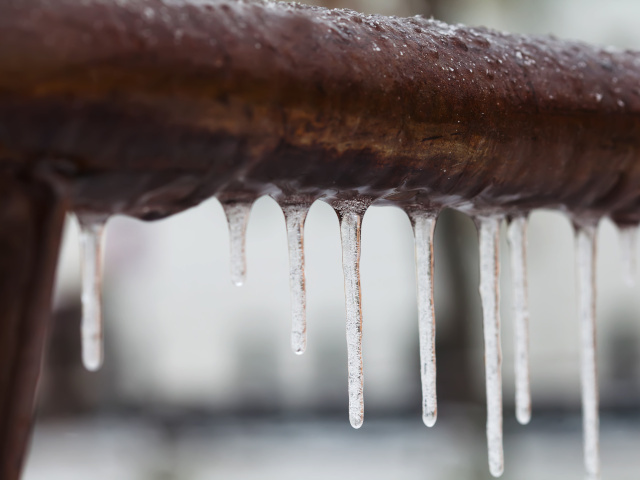 Last winter Hawkins’ UK offices received over forty instructions to investigate claims arising from frozen pipes. Several of these resulted in Hawkins’ being able to offer simple advice on prevention in the future, and some led to either recovery actions or the conclusion that the loss was not covered by the policy. With the winter temperatures in the UK dipping far lower than average, a prolonged cold spell meant that these incidents occurred over a surprisingly long period of time: six months, from December to as late as May. This winter, Hawkins would like to share some of our forensic investigators’ experiences with what truly defines and characterises a frozen pipe incident. In various cases Hawkins has seen, there are key steps that can be taken to help prevent a pipe from freezing. While harsh weather certainly plays a part in these incidents, poor installation and bad practice are also often significant factors with the attendant subrogation possibilities. In many of the cases Hawkins investigated last winter, the quality of insulation or lagging, specifically on copper piping, was brought into question. Lagging, made from polyethylene, is often fitted around domestic water pipes both to keep heat inside, and to prevent condensation from forming outside. However, there were several cases in which an investigator determined that an incident pipe, unfortunately, could have still frozen owing purely to outside conditions, no matter how well it had been insulated. If there is neither heat going into the pipes, nor heat around them, such as ambient heat from a home’s central heating system, even the best form of lagging might not prevent freezing. However, it is still better to have lagged and lost, than to have never lagged at all. Another subject that came up repeatedly during Hawkins’ investigations of burst pipes, was the use of central heating within a building where frozen conditions had occurred. In some cases, if the central heating had been on while the policyholder was away, this might have prevented sustained sub-zero outdoor temperatures from affecting indoor pipework. In many buildings, both commercial and residential, there are policy requirements for a suggested safe temperature at which the building should be maintained. When closing a business for a long weekend, or going on a family holiday, turning off lights might save energy, but leaving heating on might just save the pipes. Of course, if the heating is left on but pipes are either uninsulated or outside the thermal envelope, freezing conditions may still occur. The thermal envelope of a building is the boundary that separates its conditioned space from its unconditioned areas; i.e. all walls, floors and roofs that separate adjacent heated or cooled rooms from unheated areas such as a basement or loft. Loft pipework in older buildings is especially at risk this time of year. Though the three factors above can cause a water leak either as an isolated or compound issue, there are always less apparent, sometimes hidden, causes to consider during a thorough inspection. In several of the cases Hawkins saw last winter, freezing temperatures were incorrectly blamed for failed or separated joints. In much the same way that an incorrectly fitted part can pose a problem to your pipes, so can an accident associated with recent building works. In a complex case involving a converted multi‑storey building with multiple escapes of water, Dr Eleanor Jay of Hawkins’ Reigate Office eventually found that the reason for the leaking pipework was due to a pipe being accidentally struck from the outside, rather than bursting from pressure within. It is also worth considering what other devices and equipment within a building could possibly fail. Nicola Fallowfield-Smith of the Reigate Office recalled an incident in which the failure of a thermostat was what eventually lead to the freezing of the incident pipes. Without a working thermostat in use to measure the temperature accurately around susceptible pipework, the heating may only look as if it’s on. This winter, Hawkins would like to remind everyone to bundle up--their pipes, that is. Our engineers are available not only for investigations after these incidents occur, but also for telephone consultations, free of charge, if you have an escape of water claim with potential for subrogation. Please visit our contact page for details about your local office. Submitting this contact form will enter your details into our contacts database and we will reply to your request as soon as possible. We will also retain your details so we may contact you from time to time. You can ask us to remove your details at any time. For details, see our Privacy Notice.